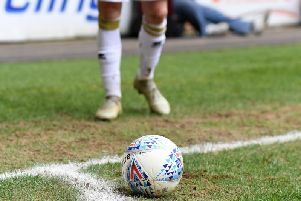 MK Dons returned to pre-season training this week as work begins to mount a challenge to get back into the Championship. After suffering relegation last season, Dons will enter League 1 as one of the favourites for promotion. Of last season’s squad, Lee Hodson and Simon Church were missing, still on European Championships duty, while want-away defender Kyle McFadzean was also absent (see page 73). “They’re in a good state,” said Robinson. “They all deserved a break and a holiday, to let their hair down. They have to relax and get back to normality. “But I don’t expect anyone to come in out of shape. “Dean Lewington looks in incredible shape and Samir Carruthers looks in the best shape I’ve seen him. “I’m really excited about how they’ve come back. Robinson has brought in three players - Ed Upson, Paul Downing and George Williams - so far this summer and he hopes to bring in more before the season starts. Those signing probably won’t be big money signings though, but the manager believes his current targets will help him build the best squad he’s had in League 1. He said: “We won’t be the biggest in this league, but we’ll be the biggest we’ve been at this level. “There are some big teams in this league, and our work now will allow us to compete in the top six. Dons will be upping their levels over the weekend, training three times a day before heading off for their pre-season tour or Ireland next week. Robinson added: “I know a lot of the players were in last week training, so they’re almost where we need them to be.